FAYETTEVILLE (WTVD) -- A Fayetteville man has been arrested following multiple robberies and police chase. Just after 7 on Monday night, officers were called to the Rite-Aid at 906 Bingham Drive after receiving reports of a robbery. Police said Justin Hyatt, 29, who was wearing a ski mask and a camouflage coat, entered the store with a handgun and pointed it at the clerk on duty, asking for money. The clerk and manager, who was also on duty, were able to hide behind a locked office while Hyatt attempted to open the register, police said. Hyatt then fled the business in a white colored minivan. Officers quickly located the vehicle in the area of Fisher Road and tried to conduct a traffic stop but they claim the suspect fled and a pursuit began. Hyatt crashed at the dead end of Amanda Circle and tried to flee on foot to a nearby wooded area. He was later located by detectives with the FPD's Robbery Unit along with officers from the Cross Creek Patrol District in a residence in the 6500 block of Sprucewood Drive. Hyatt was arrested and charged with attempted common law robbery. While reviewing additional investigations, detectives determined that Hyatt was also responsible for a robbery that occurred on Saturday at an ATM on Fisher Road. 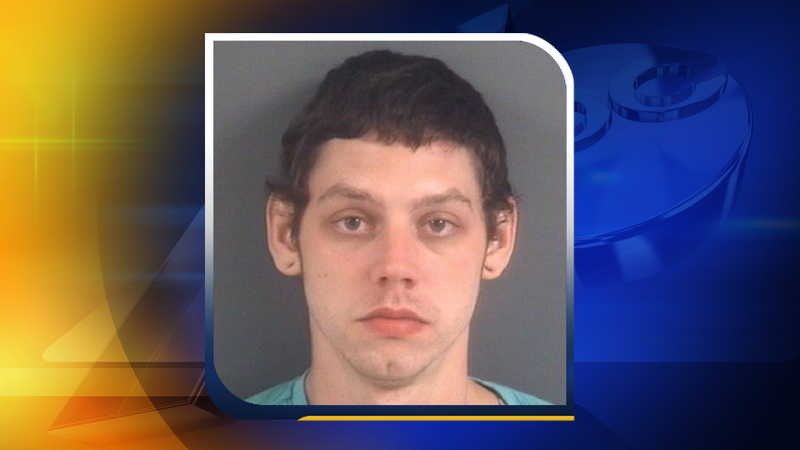 Hyatt was booked into the Cumberland County Detention Center under a $15,000 secured bond.